This little pumpkin just didn’t want to sit up straight! In other photos I ended up putting my lens cap under one side. October is my favorite month! I look forward to wearing sweaters and jeans and down vests. I love when the temperatures drop and the leaves on the trees turn color. I especially love when pumpkins start appearing in the stores and pumpkin lattes are available again. And I still love Halloween! In celebration of my favorite month, here is an October still life, edited two ways in Lightroom. In the fall, I put a leaf in the freezer in water. In January, I photographed it. And a couple days ago, I edited one of the images. This photo was taken as direct morning sunshine backlit this little orange leaf on the deck railing. 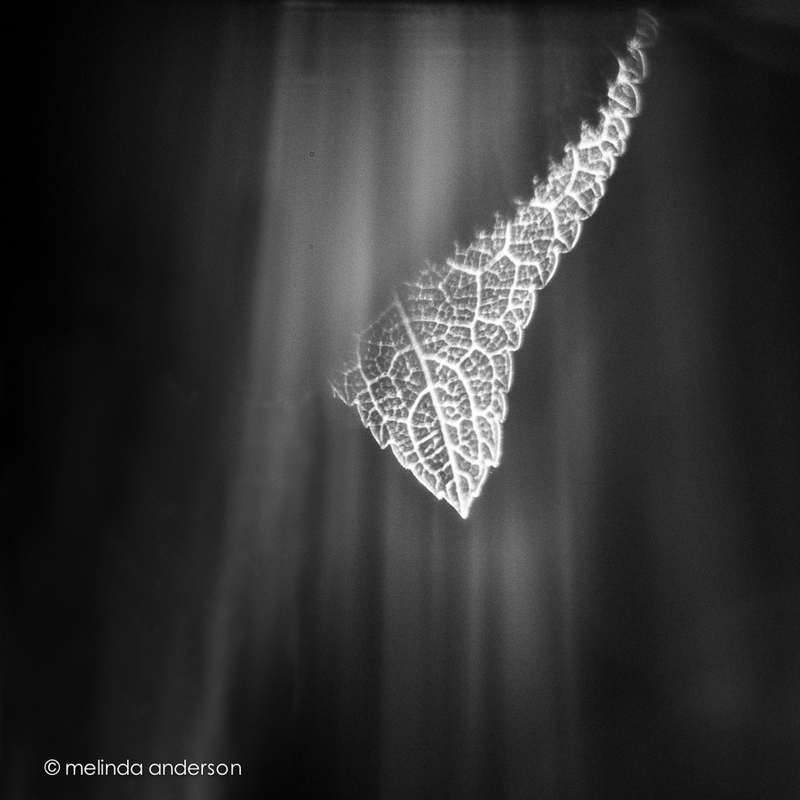 As this leaf skittered around on the glass tabletop in the fall breeze, I took several photos with the plain glass as backdrop. But there was something about the juxtaposition of the leaf, its shadow, and the tabletop pattern that caught my eye. I added some textures and tones in Photoshop to create this little piece of photo art. It has been a week and a half since our snowstorms- and I find myself marveling every day at the slowly disappearing expanses of snow that remain in my yard, not to mention around town. I took my Velvet 56 outside to capture a few bits of weeds and leaves peeking up here and there through the snow. Just as the fall leaves were changing color, they were blanketed by this year’s early snows. It seems winter is coming early this year. Not to be redundant. . . These are ALMOST the end of the white pumpkin photos, but, since Halloween is over a week away, there just might be more! 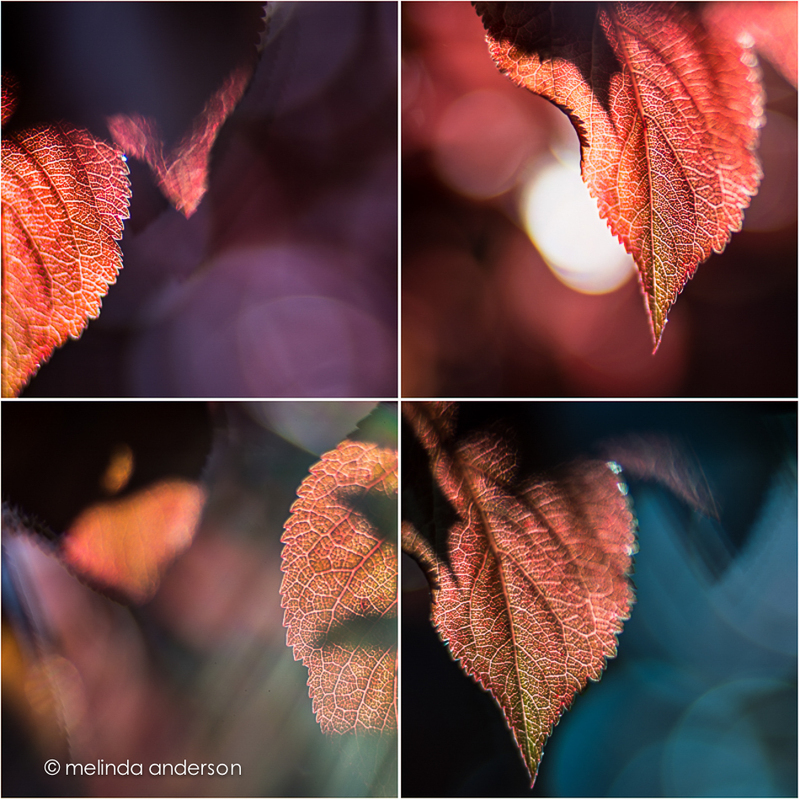 Today’s photo was shot with my lensbaby and includes a couple leaves, part of a bunch I gathered while walking down our hill, and some old books of my mother’s (yes, I love to photograph old books!). Way in the back is a little clock- a gift from my god-daughter for hosting her wedding shower (8 years ago?!?). 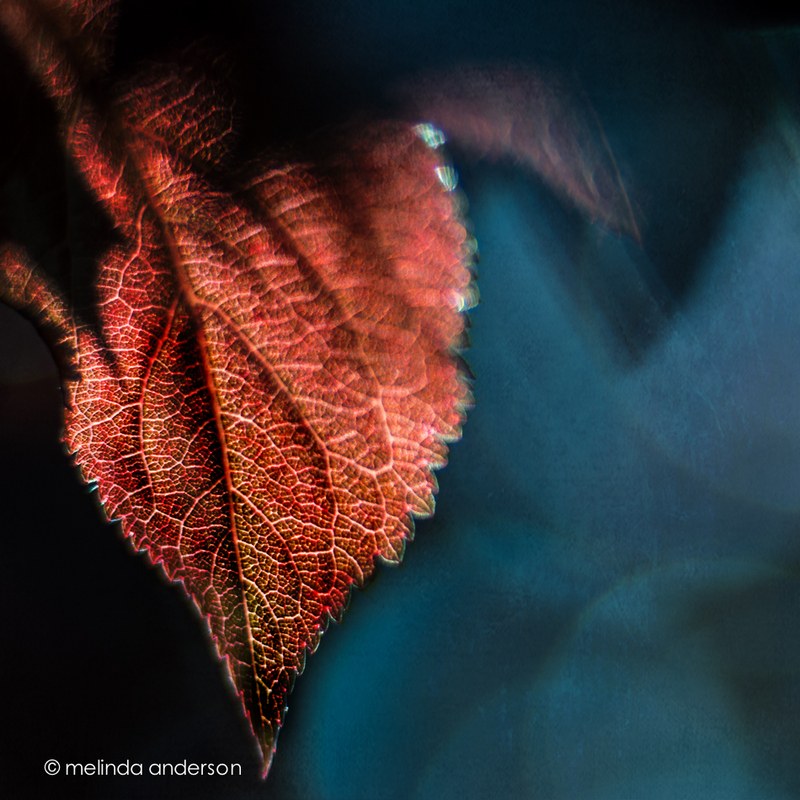 The wind was blowing into my garage studio, causing the pages and leaves to shiver and shift while I took the photo, making focusing with the lensbaby a fun challenge. Fall is slow to arrive this year, but it is on its way. An autumn still life- still loving those white pumpkins! I bought a Clickin Moms Lensbaby tutorial series back when I only had my Lensbaby Mobile for the iPhone, (no Composer Pro, no optics), because I was so eager to learn how to use these cool lenses. One of the tips I learned was that the Edge 80 with macro converters does a great job capturing sun rays, especially when taking photos under leafy trees. I only have one tree at this point that has enough leaves to provide a canopy for the sun to just peek through, so I spent 10 or 15 minutes the other day crouched uncomfortably beneath the plum tree looking up at the sun. I thought I didn’t get anything much until I played with a few images in Lightroom and discovered that I did get some interesting effects from the sun- including sun rays. Fun! The image below is the same as the last photo in the collage at the top of the post, except it has some Florabella textures added.